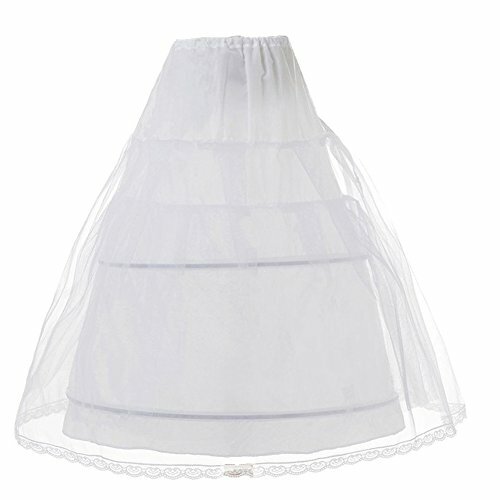 Edress Girls 3 Layers Wedding Flower Girl Petticoat Kids Underskirt Slip (White Large) by Edress at SCRHI. MPN: 43225-5812. Hurry! Limited time offer. Offer valid only while supplies last. Size : S Waist 12"-24" Overall Length: 19"
Size : M Waist 14"-26" Overall Length: 23"
Size : L Waist 16"-30" Overall Length: 28"
Size : XL Waist 18"-36" Overall Length: 36"
If you have any questions about this product by Edress, contact us by completing and submitting the form below. If you are looking for a specif part number, please include it with your message.